Amerelle Wallplates do more than just cover electrical boxes. They are an easy and inexpensive way to add a decorative accent to any room in your home. 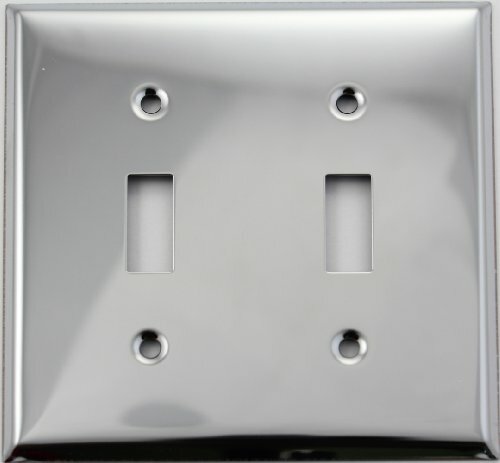 The Amerelle Studio 2-Gang Chrome Double-Toggle Wall Plate features a cast-metal construction for durability. The chrome finish is sure to complement a variety of bath and lighting fixtures. 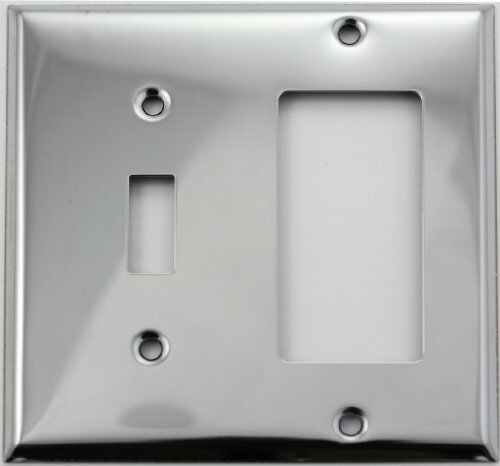 This beautiful polished chrome wall plate is chrome plated steel that is polished to a mirror like finish. 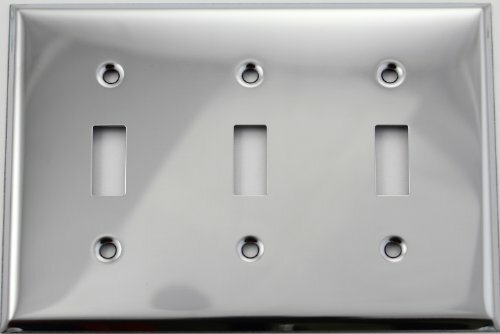 This triple gang wall plate will accommodate three standard toggle switches. 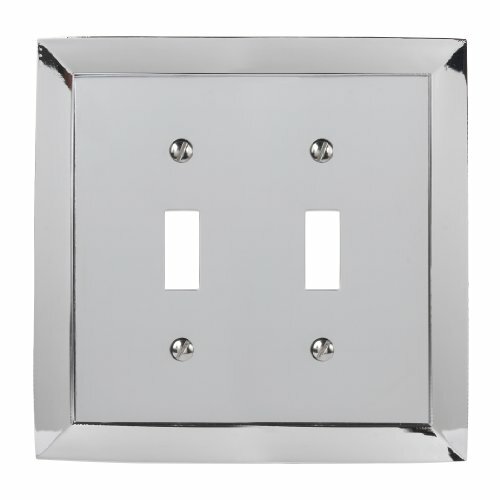 Plate measures 4 1/2" by 6 3/8"
Baldwin Estate 4751.260.CD Square Beveled Edge Single Toggle Switch Wall Plate in Polished Chrome, 4.5" x 2.75"
This beautiful polished chrome wall plate is chrome plated steel that is polished to a mirror like finish. 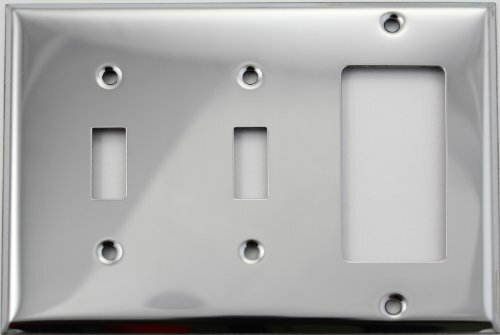 This two gang wall plate will accommodate one standard toggle switches and one GFI outlet, rocker switch or any other rocker opening devise. Amerelle Wallplates do more than just cover electrical boxes. They are an easy and inexpensive way to add a decorative accent to any room in your home. 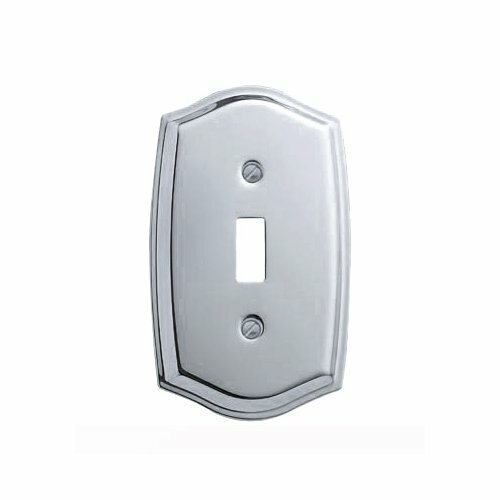 The Amerelle Studio 3-Gang Chrome Toggle Wall Plate is sure to complement a variety of bath and lighting fixtures. It is made of cast metal for durability. 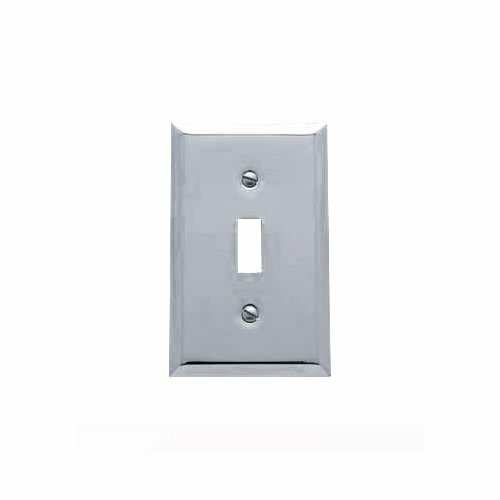 Baldwin Estate 4743.260.CD Square Beveled Edge GFCI Single Toggle Combo Wall Plate in Polished Chrome, 4.5" x 4.5"
Baldwin Estate 4756.260.CD Colonial Design Single Toggle Wall Plate in Chrome, 5.12"x3"
4756.260.CD Finish: Polished Chrome Features: -Single toggle switch plate.-Colonial design. Color/Finish: -Polished brass finish.-Venetian bronze finish.-Satin nickel finish.-Polished chrome finish. 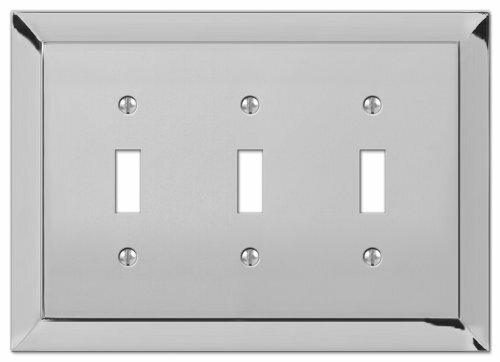 Dimensions: -Overall dimensions: 5.125'' H x 3'' W.
This beautiful polished chrome wall plate is chrome plated steel that is polished to a mirror like finish. 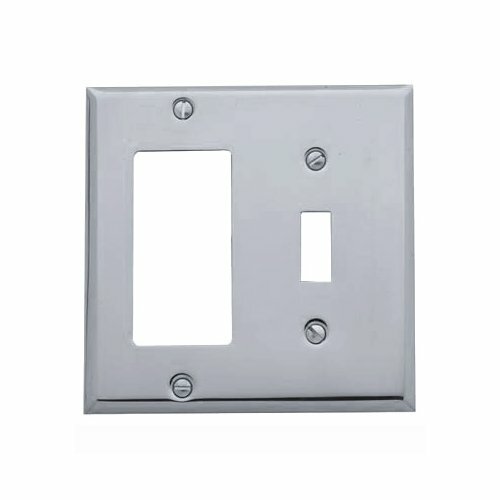 This double gang wall plate will accommodate two standard toggle switches. Plate measures 4 1/2" by 4 1/2"
This beautiful polished chrome wall plate is chrome plated steel that is polished to a mirror like finish. 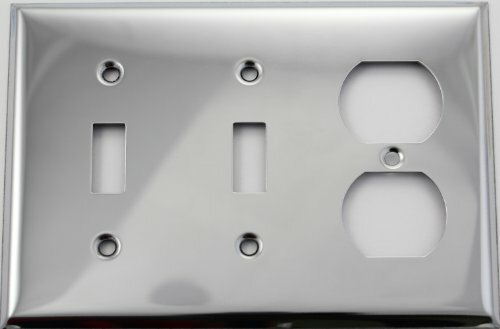 This three gang wall plate will accommodate two standard toggle switches and one standard duplex outlet.